We Are Your Yamaha Parts Headquarters. YamahaPartsNation is your online source for all Yamaha OEM Parts & Star OEM Parts, Yamaha Accessories & Star Accessories and Yamaha Apparel & Star Apparel. Online Yamaha OEM purchases are up to 40% Off. 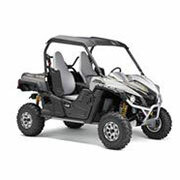 We have a full line of Yamaha ATV parts, Yamaha & Star Motorcycle parts, Yamaha Rhino parts, Yamaha Waverunner parts, Yamaha Snowmobile parts, and Yamaha Generator parts. 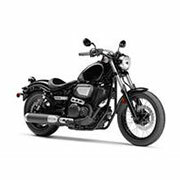 Yamaha Cruiser parts, Road Star parts, Stratoliner parts, Roadliner parts, Yamaha Raider parts, Yamaha Star parts, V Star 1300 and V Star 950 OEM parts. 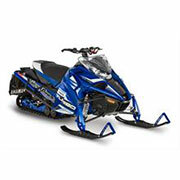 Low prices of Yamaha snowmobile parts, click for Apex SE parts, FX Nytro parts, RS Vector parts, Phazer RTX parts, RS Viking Professional OEM Yamaha parts. 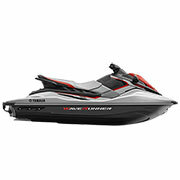 Get you Yamaha watercraft & WaveRunner OEM parts for Yamaha FZR parts, Yamaha VXR parts, Yamaha VXS WaveRunner OEM parts. Yamaha sport ATV parts including, Raptor 700 parts, YFZ450 ATV parts, Grizzly 700 parts, Grizzly 4x4 ATV parts, Banchee parts, Yamaha Big Bear ATV parts. 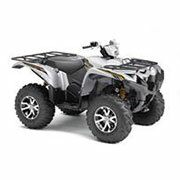 Yamaha utility ATV parts, Yamaha Side x Side OEM parts, Yamaha Rhino parts, Yamaha Viking parts,Yamaha wolverine parts. When it comes to finding the right solution for your favorite vehicle, you need options you can choose with confidence. With our selection of Yamaha OEM parts at the ready, rest assured you are making the right choice for the performance and life of your favorite vehicle from this trusted manufacturer. As an official Yamaha Motor Corporation dealer, we offer solutions made directly from the manufacturer to ensure the best fit and outcome for your model and year. We offer one of the largest inventories of Yamaha parts on the market today. With a focus on covering a wide range of vehicle types, models, and years, our selection offers all the most popular options, as well as a few of the more obscure, to make sure you get the right solution for your needs. Whether looking for something for your off-road motorcycle, all-terrain vehicle, or utility side by side vehicle, you are sure to find the right choice. We also cover the needs of their snowmobiles and watercraft vehicles, so you are covered no matter the terrain or season. With a focus on bringing you options for all their most popular vehicle types, finding the right Yamaha parts has never been easier. Whether for a Waverunner or Roadliner, our inventory of parts covers every model and every aspect of the model, so you get exactly what you need. With an inventory spanning everything from spark plugs and fuel lines to headlights and audio, you are sure to find the right parts for the functional aspects of your vehicle. We also offer fun options such as accessories and apparel for when you want to show off your love of the Yamaha brand or add something more fun than function to your favorite vehicle. Regardless of what you are on the hunt for, we have you covered! We are committed to delivering outstanding customer service. 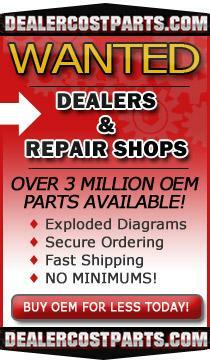 If you have any questions regarding our selection of Yamaha OEM parts, please contact us for further assistance. We will gladly assist you on the matter to make sure you get the best outcome for your vehicle. At Yamaha Parts Nation, we work hard to get you the products you want at the speed you expect. We ship with UPS, USPS, and FedEx to help get your order processed and shipped to your location in the most cost effective and fastest method available. We appreciate your business and continue to work hard to provide you the best service available.